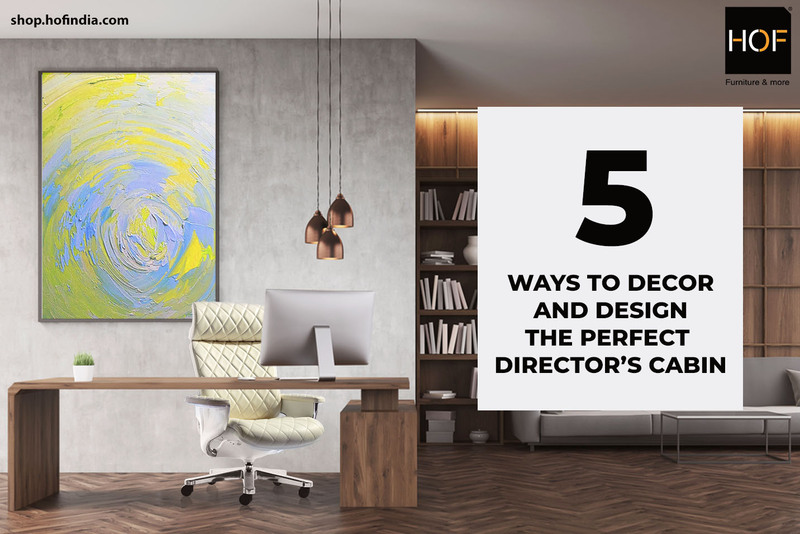 The Director’s cabin is the backbone of an organisation, a symbol of success and authority hence the designing and décor should be elegant, soft and soothing. Directors spend most of their time in planning and execution of tasks in the office. An unappealing surrounding and appearance can cause frustration and hamper the productivity. The selection of perfect design is a critical job and undeniably important for creating a workstation where you love to work for long hours. It should make you feel home with a mix of comfort and style. It is a place where you first meet your important clients and executives, a place where first impressions are created. So, it’s very important to design it as a masterpiece of your workplace. Make sure cabin space has an ample source to bring natural and fresh light in your workstation, nothing beats natural and warm lighting. Let’s cut to the chase and find out the key elements to add into your cabin and how they impact your workplace. It’s the throne from where you rule your realm of the organisation, from where you take important decisions, hiring and firing. The chair should always differentiate a group from the leader. It is essential to choose it in a tasteful manner without getting too obvious and overbearing. HOF offers a wide range of chairs for your selection. 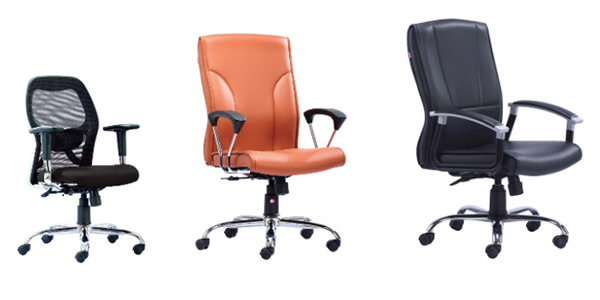 Choose a coloured chair that adds life and gives a hint of creativity and contrast to your workstation. HOF makes chairs that speak of class, art and authority. A desk is a place where meaningful conversations and brainstorm sessions happen, where you foster ideas and give them shape. An ideal desk should be able to accommodate your laptop, PC, documents and stationery. The success of any organisation is dependant upon the productivity of you and your employees. 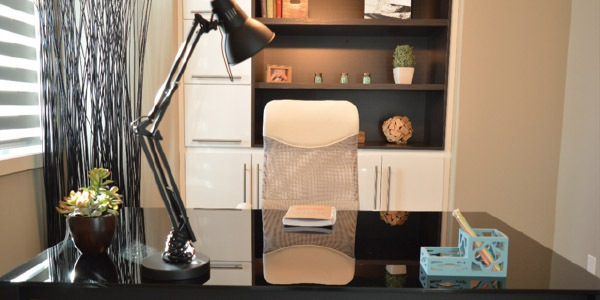 Your desk should always be in a position where your visitors see you first once they enter your space. It should create a warm environment for them. 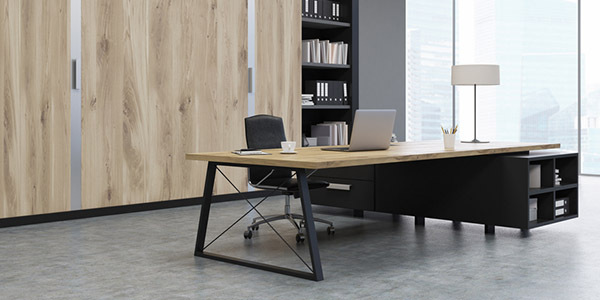 Always consider the size, material and position while buying an office desk. Keep in mind the purpose of your desk, how are you going to use it; for computer work, paperwork, meetings or a combination of all. Go for “L” shaped or “U” shaped if you’re going to use it for more than one task. Visiting chairs play a vital role in your cabin’s appearance. When business partners, clients, employees and interviewees visit your cabin, they should feel at ease. The chairs should not only be aesthetically aligned with the interior but also ensure comfort. If you take care of comfort factor for your visitors, it’s given that you pay attention to details and keep their comfort at par with yours. HOF chairs provide you with a vast range of revolving executive chairs which have a comfortable and adjustable armrest and headrest. They don’t make your visitors stuck in one place and make the whole experience tedious and boring, they all are attached to a swivel. A bookshelf is a reflection of your personality. It lets your visitors know what kind of personality you are, add books for reference, books you would like to read when you are tired of working. There should be a wall of fame attached to it which mirrors the achievements and awards earned by your organisation, so in the moment of doubt, you can look at it and grind harder. It also helps in creating an everlasting impression in the minds of the visitors. A sofa beside the bookshelf adds character to your cabin. You can always spend your “Me” time there and might as well take a nap! Choose curtain fabrics with formal patterns and textures. It should give a notion of a calm and soothing place. Spruce up the surroundings with freshness and greenery by adding bonsai, money plants and succulents. Don’t forget better sound insulation because a Director has to do formal and confidential conversations with clients. The overall cabin should speak of leadership and power. Looking to buy an extraordinary chair for Director’s cabin? 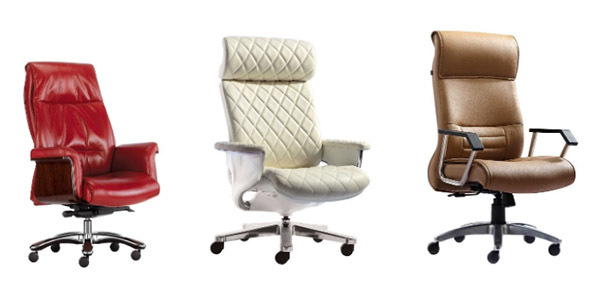 Explore our premium chairs made specially for the elite. Visit shop.hofindia.com today!